Ultrawave are monthly hydrogel contact lenses famous for their high quality and original design, even winning the prestigious Queen Elizabeth Design Award. This prize is given only to the highest-quality products made in the UK. 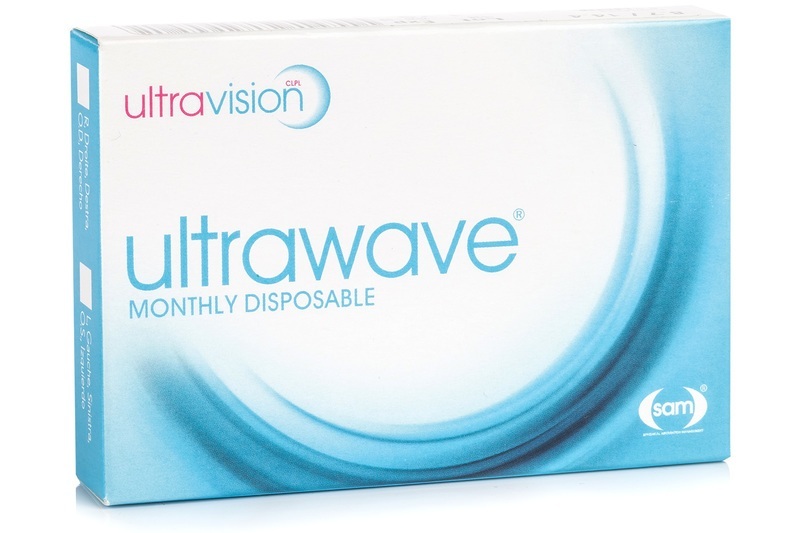 Ultrawave contact lenses are designed to routinely correct both myopia and hyperopia deficiencies. Experts know them as Smart lenses and often refer to them as the Rolls Royce of contact lenses. The word “perfect” is used to describe them by drivers, athletes, computer experts and other wearers and is also how people of presbyopic age and lens-wearers with low astigmatism describe them. Their unique design and biocompatible lens material provides sharper vision during the day and also at dusk (they increase contrast sensitivity). They provide maximum comfort for everyday wear, especially when working on a computer (aiding the elimination of dry eye syndrome). Ultrawave lenses are extremely suitable for suppressing astigmatism up to 1.25 and for people with oncoming presbyopia. Unfortunately Ultravision have restricted the production of these lenses to the parameters you have when inserting the power in the drop-down menu.